Join 8 members of the award winning Halau Hula Ka No'eau & Kumu Hula Michael Pili Pang for a special Hula Performance in Chicago!!! HULA PERFORMANCE: Saturday, April 7th, 8:00 pm at The Academy of Music & Movement, 605 Lake Street, Oak Park, IL 60302. Hālau Hula Ka No‘eau has built its reputation on the philosophy and creed that the “Art of Hula” expresses all we see, hear, smell taste, touch and feel. They are guided by the belief the best foundation in creating something new is a thorough understanding of the past. The best environment in which to succeed is one which encourages discipline, commitment and creativity. 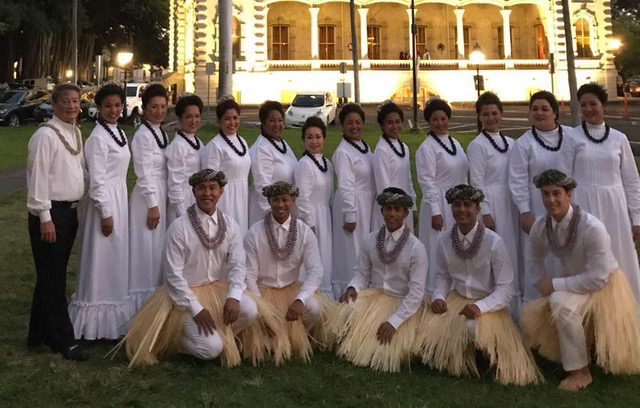 Using the same teaching methods as their Hula Matriarch, Maiki Aiu Lake, the school’s curriculum is based on the understanding of hula history, technique, style, hula and chant types with an equal foundation in hula ‘auwana and hula kahiko. 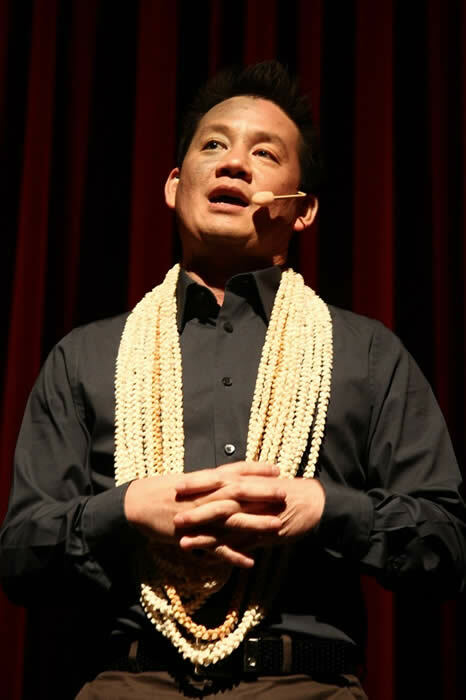 Inherent cultural arts such as Hawaiian music, chant, poetry, instrument making, lei making, history, culture, philosophy and language are also included in learning the “art of hula”. Kumu Hula Michael Pili Pang founded Hālau Hula Ka No‘eau in 1986 and has been a leader in showcasing hula through concert performances, touring, lectures and teaching the Hawaiian arts.. Today, there are two schools: one in Waimea and one in Honolulu; with graduate kumu hula from the hālau teaching classes in Waimea, Honoka‘a, Hilo, Kona, Waikoloa, and in Chicago, Illinois. The goals of Hālau Hula Ka No‘eau have been to promote and sustain the inherent cultural and artistic values of Hawaiian dance. To further this goal a performing company was formed and concerts, workshops and lectures on hula were created. Since 1994, they have performed throughout North America, Korea, Japan, and Taiwan.